About Hampden Fence Supply Inc.
Our family heritage goes back to Leo H. Vergnani, who in 1946 started Hampden Fence & Iron Works out of his garage. His first endeavor was erecting chain link fences. In 1960, we purchased our first building at 1347 Main Street, Agawam, Massachusetts. We ran our fence erection business there, also started manufacturing fence fittings for chain link fence. The fence fittings included economy and beveled tension and brace bands, gate clips, kennel clamps, saddle clamps, kennel bands, end rail and line rail clamps. 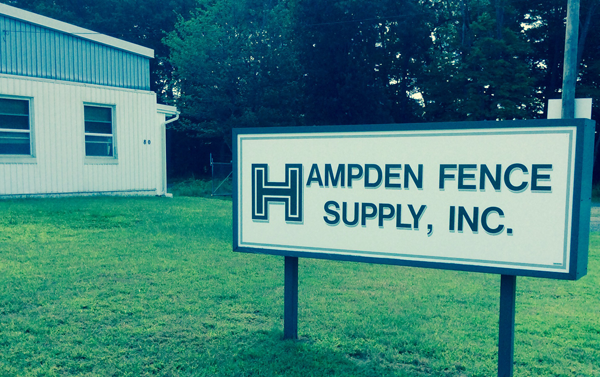 In 1965, we expanded our building twice to allow more space for the manufacturing of fence fittings, and to add a welding shop to produce gate hardware, such as post hinges and gate scrolls. In 1970, we incorporated and changed our name to Hampden Fence Supply, Inc. At the same time, Leo J. Vergnani and Bob Wilmes joined Leo H. Vergnani in the new business venture. Also in 1970, we constructed a new 16,000 square foot building at 80 Industrial Lane, Agawam, Massachusetts. Presently it houses our manufacturing and hot dip galvanizing operations. In 1972, we completed a 2000 square foot addition to the building to accommodate our need to expand our manufacturing facility to include a quality cantilever gate roller. In 1974, we expanded the machine shop with additional equipment, and a full time machinist. These additions enable us to provide quick design, manufacture, and repair of the tooling necessary to manufacture custom parts to specification, as well as our own products. 1984 saw another 2500 square foot addition, this time to house the enlarged, state of the art, small parts hot dip galvanizing facility. In 1988, we built a 340 square foot wastewater treatment room to treat water used in the galvanizing plant. During 1996, Leo J. Vergnani, son of the company founder, passed away. Leo H. Vergnani remained as President, and Bob Wilmes as Treasurer of Hampden Fence Supply, Inc. Sadly, in 2001, Leo H. Vergnani, the company president and founder, passed away. At this time, Bob Wilmes became president and the sole owner of the company. In 2009, Bob Wilmes sold the business to long time employees Jim Crawford and Chris Ward-Horner. Jim became CEO and Chris became President of the company. We are proud to carry on the fine tradition of personal service to the fence industry, our community, and surrounding area.